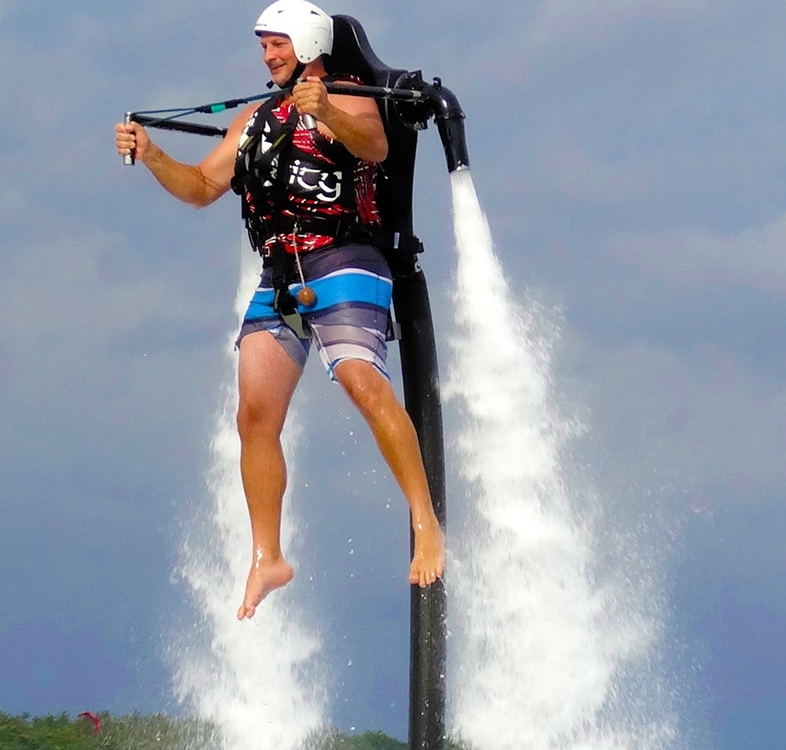 We have the 1st & only Jetovator (Jet Bike). 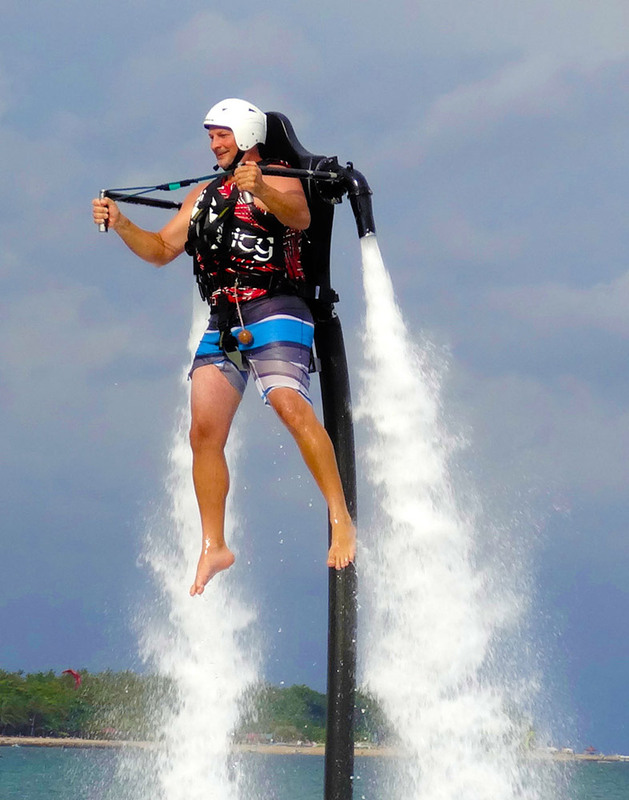 The jetovator uses water as a high-density propulsion fluid and can lift you up to 30 feet high and thrust forward at speeds of 30 miles per hour. 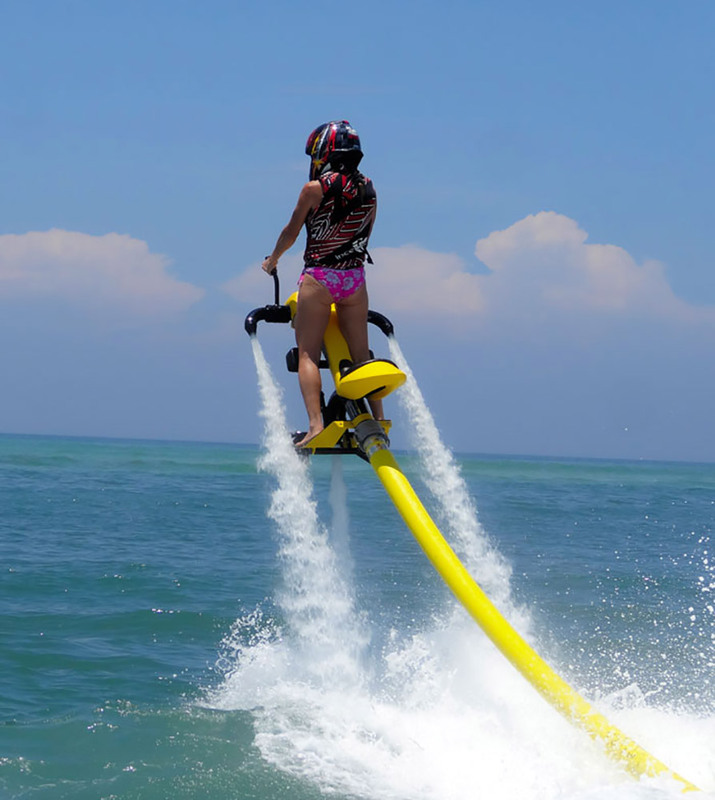 Our jetovator watersport sites are located (20 minutes from Kuta) at Nusa Dua, depending on tides and conditions we operate the between a few sites so bookings are essential. 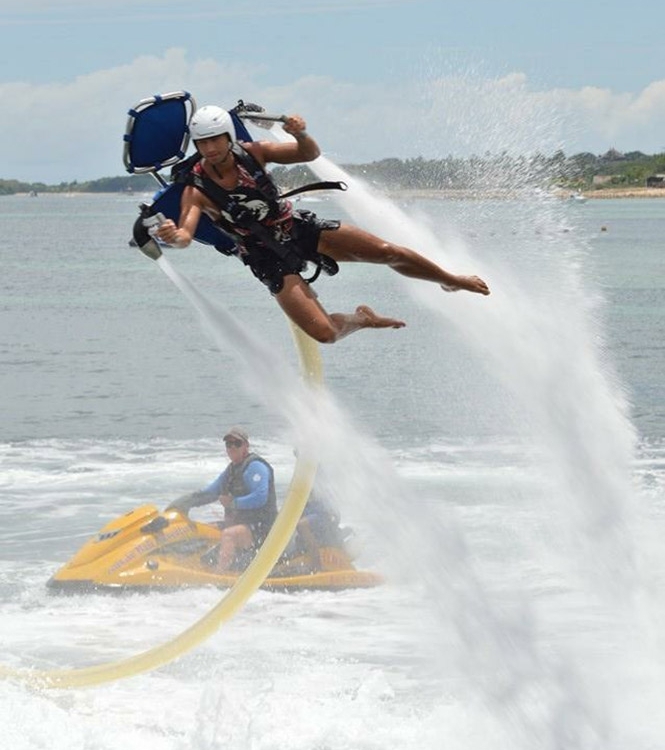 We have a large range of other watersports at our Jetpack site, make a day of it. 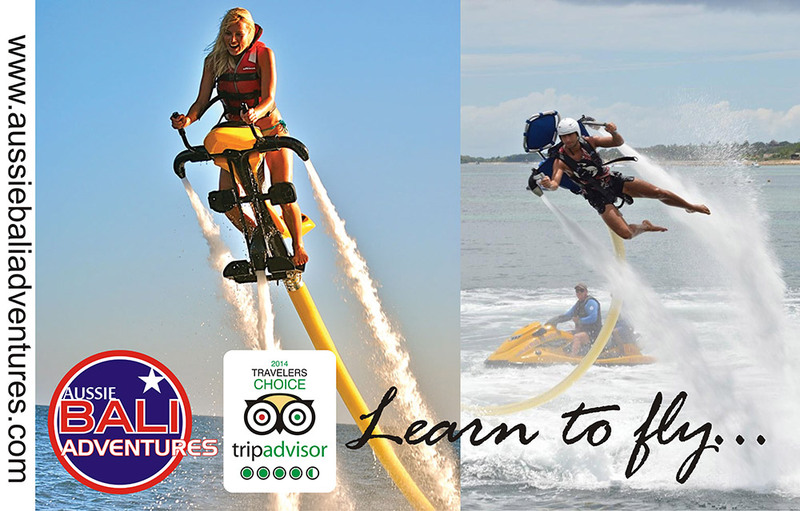 Check out our Watersports page and Combo Deals page. 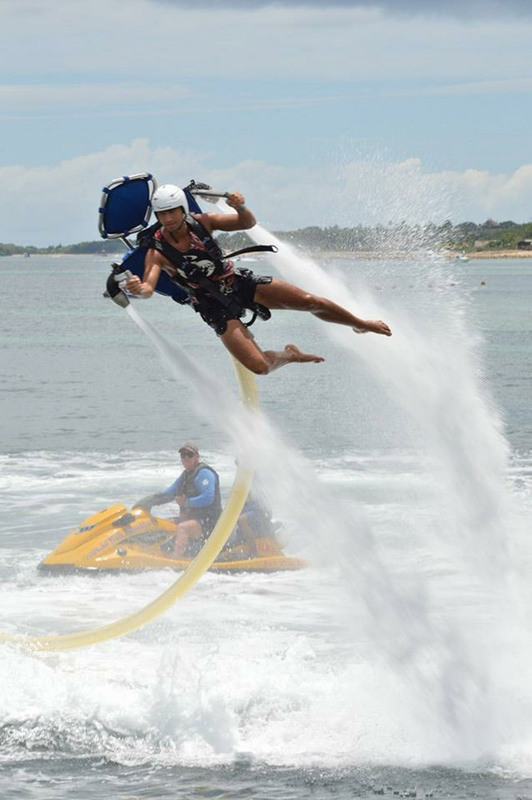 Price includes – Return Air Conditioned Transport, Onsite insurance, All safety equipment & training, Photographer options.. Pick up times are at guests request – we operate all day, 7 days a week. High tide is best, so check with us first.